Olive oil is good for you! But the healthfulness of your olive oil really depends in part on how you use it. If you’re using it to quickly sauté or fry food over the stove, you’re using this healthy cooking oil all wrong. Oils of all kinds have something called a smoke point. The smoke point of an oil is the temperature at which it will (you guessed it) smoke. But there’s more happening than just the release of a cloud of vapor. The smoke rising from your pan is evidence of changes occurring in your food at a chemical level. When olive oil is heated to its smoke point, the compounds that contribute to its flavor break down and change the oil’s taste. Sometimes, this can result in a burnt flavor added to cooked foods rather than the pleasant taste of un-burnt olive oil. Even some moderate-temperature cooking methods can alter the taste of certain high-quality olive oils. In these cases, the best ways to use it are in salad dressings, to finish cooked foods, and to cook at low temperatures. In addition, there’s a potential health concern. The fats naturally contained in the oil may break down at high heat and form potentially harmful compounds. These may include free radicals, which can slightly increase a person’s risk of various diseases such as cancer. This added risk is relatively minor, especially when compared to the risk added by other activities such as smoking or binge drinking — but that’s not all that happens when oil reaches its smoke point. Other compounds in the oil, including various nutrients and cancer-fighting antioxidants, begin to break down at these higher temperatures. 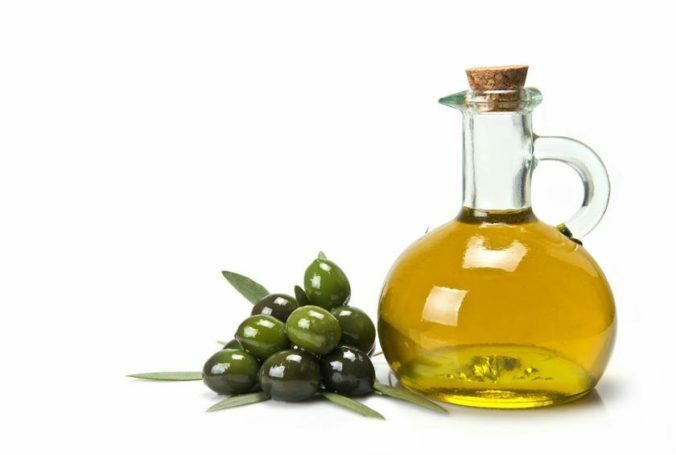 One study showed that heating olive oil to 356 degrees Fahrenheit for 36 hours resulted in a decrease in antioxidants and vitamin E. Another study showed that heating olive oil to 464 degrees Fahrenheit for 90 minutes reduced the amount of oleocanthal (a compound responsible for many of olive oil’s anti-inflammatory effects) by 19 percent. It’s hard to say exactly what temperature olive oil is best used at, especially because there are so many different kinds of olive oil to choose from. But most agree that olive oil’s smoke point hovers somewhere between 350 to 400 degrees Fahrenheit. So while pan-frying foods at medium heat is probably okay, you don’t want to turn the knob on your stove all the way up to high. As tempted as you might be to turn up the temperature for time’s sake, don’t overheat your olive oil. Try out one of these simple 20-minute recipes instead.